Yesterday was mainly a travelling day. We had a 3 hour drive in the bus to get to the port where the ferry would take us to Koh Samui. Luckily there were some good playlists amougst us so we had everything from Bob Marley and Mary J to Little Dragon and Disclosure to listen too. Aldo also introduced me to some new tracks by The Classix which I thought were pretty good too. Carlos decided to change the music after a while and put on some chilled house, it was nice stuff but with chill out music and the warmth of the sun it wasn't long before I was dozing off. I was only asleep for 20 minutes or so before the group started to have fun... 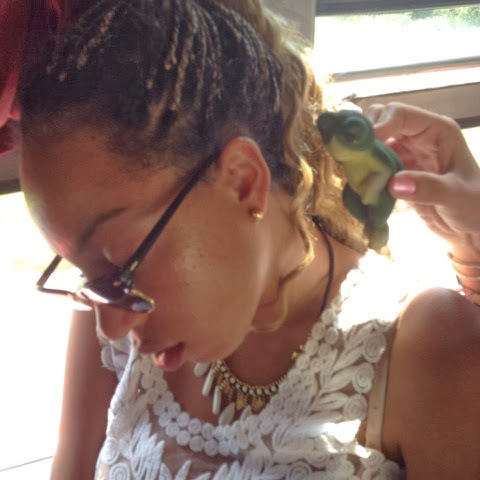 Toilet paper, toy frogs and all sorts came out to decorate me... Pretty good look don't you think? Once the ferry docked we carried our backpacks off the boat and our hotel staff were waiting with 3 jeeps to pick us and our luggage up. So we weren't disappointed when we arrived Sek had pre-warned us that Koh Samui was a lot more expensive, as it's a tourist hotspot, and that we wouldn't have the same standard of accommodation. The beds were actually the comfiest yet, but there were ALOT of flies/mozzies in our bedroom and bathroom so I went on a swatting mission and now our bedroom looks like a murder scene! 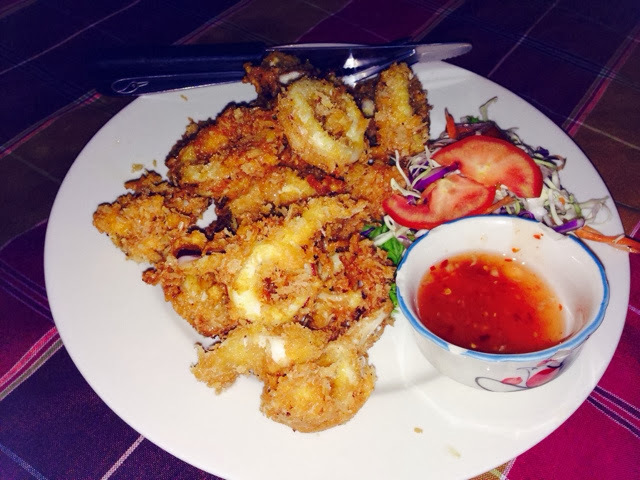 In the evening we went out for dinner on the beach and I had the tastiest calamari I've ever had. The rings were huge and really thick and the batter perfectly crisped up. After dinner we had a couple of drinks at a place called the swing bar. Now I know what you're thinking... It wasn't a swinging bar!! 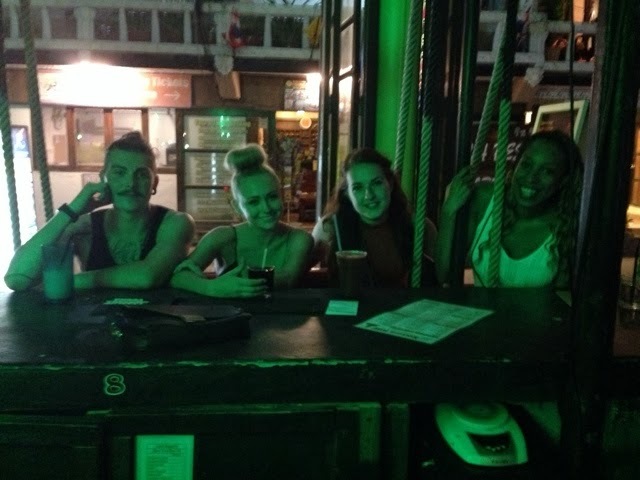 The bar had swings which you could sit at up at. It was also right on the beach and put on a poi show (fire dancing) every hour to entertain guests - it looked great against the night sky and you can checkout the video on my instagram account (@Mi55yBrown). That was the end of day 15! Loving the pictures, and the daily stories. Every day there is a best ever... I am so envious. Go girl!! 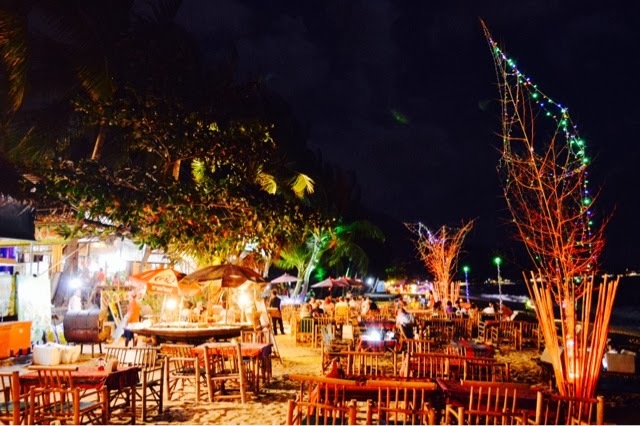 Thailand Travels: Day 19, Full Moon PAR-TAY!! !